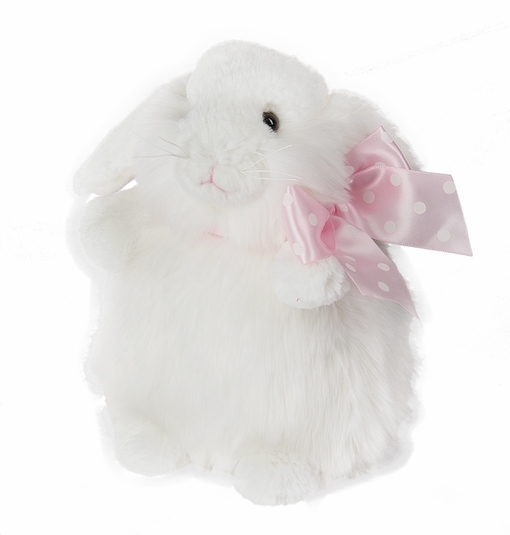 Home > Baby Ganz and Kids Collection > Ganz Trudie White Bunny Rabbit Push 8.5"
Ganz Trudie White Bunny Rabbit Push 8 1/2"
"Trudie" is an adorable standing bunny rabbit plush toy . It measures approximately 8.5 inches. It has beautiful long white plush fur and a pink ribbon with white polka dots. This sweet bunny is from the Ganz Easter plush collection.